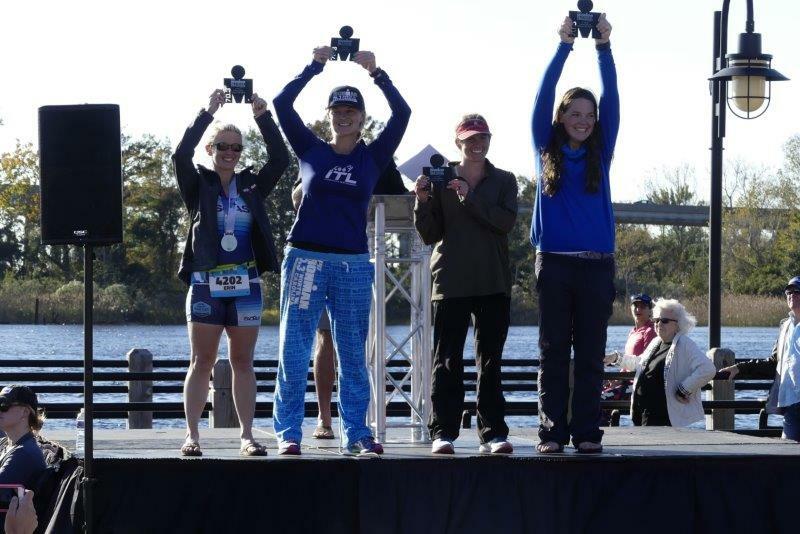 Probably the toughest conditions I have faced due in part to the wind, but I finally made the podium of an Ironman race at my last race in the 25-29 age group and man was it bittersweet. There were many things that made is weekend challenging. 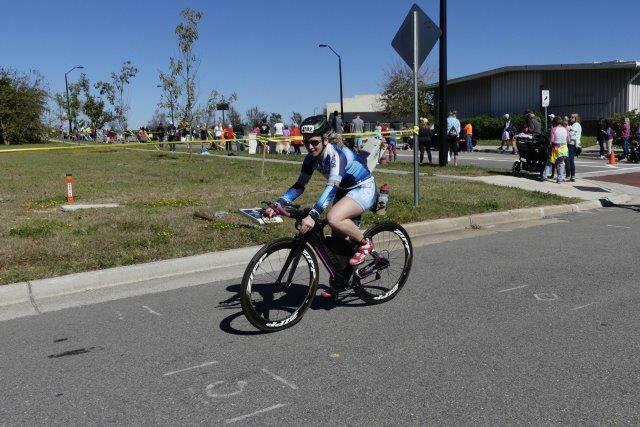 From the check-in hours to getting to each transition location to the updates to the bike course due to the catastrophic flooding (we were informed the week of it would be 50 miles for both distances). But a lot of it felt redeemed with my finish even though I wasn’t thrilled with my bike time but I will still give my full on report. 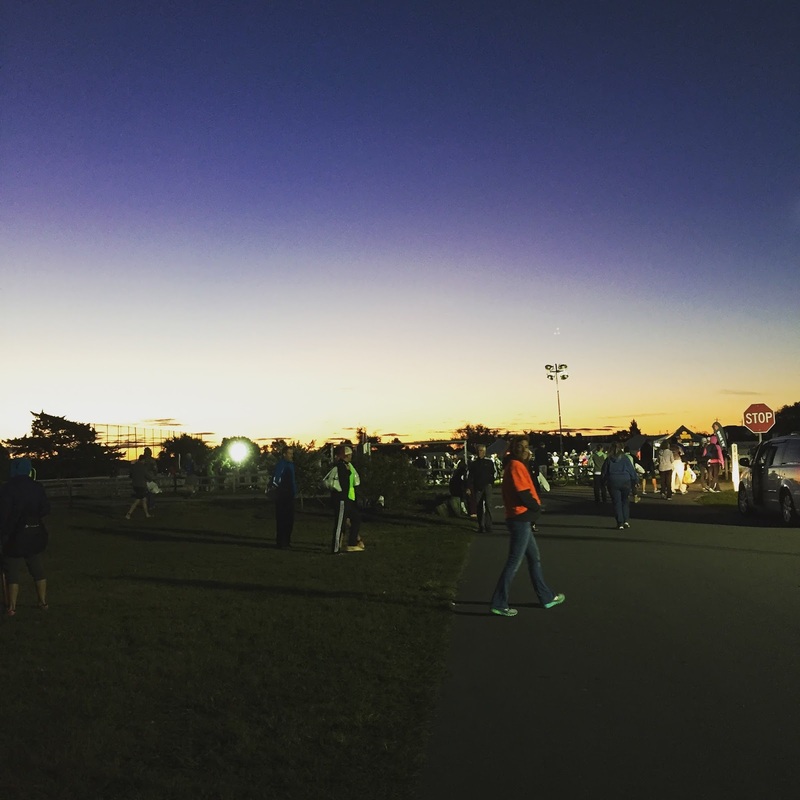 Wilmington is about a 5.5/6 hour drive from D.C. Because this race was on a Saturday, check in typically ends on Thursday for Ironman athletes. They tried originally to do the same for the 70.3 racers but changed it- my guess is due to immense complaints. Thankfully they did, so I didn’t have to take another day off of work. We arrived in Wilmington Friday around 11:30 and went straight to check in which took about 45 minutes to go through the line. Organizationally it could have been spaced out better as you went from right to left, having to cut through other people in line. When it was time to get my shirt… surprise! out of smalls. Yet I ordered a small so that makes sense. 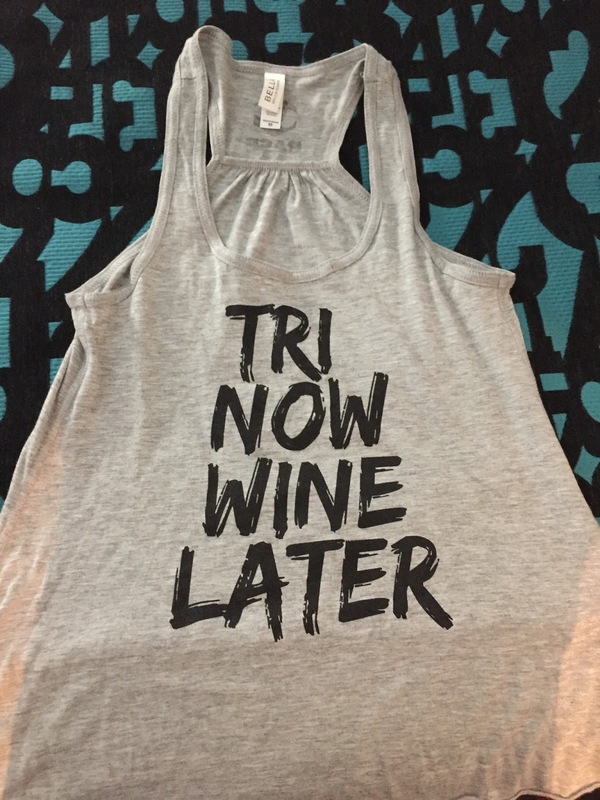 During this time I had sent mom off to the Base tent to grab some of their awesome tanks for ladies including small and mighty and Tri Now Wine Later. Definitely get yourself a shirt at the next Ironman race. From there I immediately had to go and drop off my run gear bag at the T2 transition area. 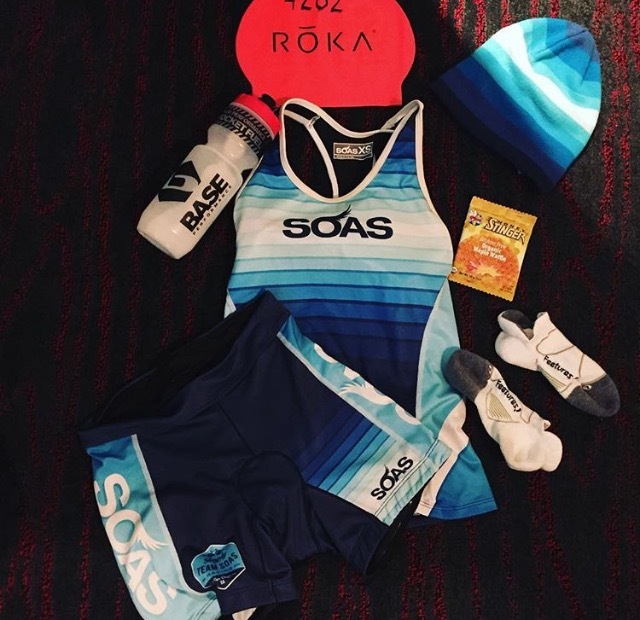 The one thing I thought was interesting about this race, was the two different transition areas with the bike and run gear bags for everyone, including the 70.3 racers. It made it interesting when getting ready for each discipline. After I dropped off my bag, mom and I headed over to the Bike transition area to drop off my bike and bike gear bag. I would be able to have access to my bag in the morning as this was T1 and where the shuttle would depart for the swim. Both transitions were very long as this was an Ironman race and the run from swim to transition was a nice distance as well. Some people even placed some shoes along the run because of the pavement which was very uncomfortable. As I was leaving, I overheard a man saying they changed the distance of the bike back to 56 miles. No email was sent so that was rather annoying. Once I completed setting up my stuff, we went and checked into the hotel. We stayed at the Courtyard Marriott Downtown which was an excellent hotel, within walking distance to the host hotel where the shuttles were and a block from the run course so I recommend booking there if you can’t get into the host hotel. That night we went to dinner at Sunny Sushi. Food is great, service was slow when the restaurant was busy. I set out my gear for the morning including an extra pair of socks for the bike, my nutrition, and cold weather gear. In the morning, it was 55F and very windy!! This was going to be a challenging bike. The winds were averaging 12-18 they said, but I also heard it was over 20 with gusts up to 30. I set up the rest of my stuff at transition and added things to my gear bag. I then said bye to my mom as spectators were not allowed on the shuttle to the swim start. She would have to wait for me to start, around 9, and exit the water 34 minutes later. We waited in a parking lot until 8:30 for the start of the 70.3 racers so note to self, if it is cold, bring a blanket. I was freezing and we were hiding behind dumpsters to stay out of the wind. The water was nice and warm, there was a current, but it was choppy because of the wind. I was getting sprayed with salt water and swallowing it many times and getting rocked and rolled. Once I completed the swim, I exited the water with the help of volunteers, had my wetsuit stripped (love the strippers!) and ran the long distance to transition. When I say long, it was long. I had to run across the street, run through transition because it was set up as an Ironman transition area which is typically long, grab my bag, change into my bike jersey and sleeves, throw on my helmet, socks, and sunglasses. Then ran to get my bike. FYI the bike spacing was horrible. I was so smushed in, that my brake gear was getting intertwined with the person’s wheel next to me. This would be the most challenging and difficult bike I have ever had and my slowest. I can only imagine what Kona is like. The winds were crazy, so bad that cyclists were being blown into parked cars, the bridges being the most dangerous. I was constantly out of the aero bars and up trying to avoid being blown into the car lane because there was only one lane for bikes. This frustrated me as we were constantly changing lanes back and forth from right to left. I understand that the bike course was adjusted at the last minute due to the flooding, but I hope it wouldn’t be like that on the portion of the course that was the same as years prior. The headwinds and crosswinds stuck with us for 40 miles before we hit the turn around for the final 16. I do not know why, but there was no aid station from miles 10- 20. We didn’t get one until mile 30 so I felt bad for those people who needed hydration and bathrooms as the lines were long for them when I passed. There were train tracks we had to cross and it became a path of water bottle destruction with so many bottles and nutrition on the ground. There are also grated bridges which were nerve racking more so for my tires but if you just continued on your path, you were fine. But yes slowest bike ride ever and definitely boring. Just highway and bridges. Nothing spectacular or pretty to look at. The transition run was also long for this and on a narrow walkway, after a downhill finish to the dismount line- not smart and very dangerous as it was steep. Then the pathway was annoying because it was very thin and there was no room to pass anyone. Because this was an Ironman race, there were bike catchers so that was great. I then grabbed my bag, changed, slathered up with sunscreen as it was getting warmer and sunnier, some vaseline and headed out. The run was nice. Through the main part of town, along the water, through neighborhoods, and around a lake. I actually really like the run, minus the hill right at mile one. I kept my pace consistent even with my back killing me. Took in some water, Gatorade and gel along with my Base Salt. I got hit with a side stitch at mile 5 but that went away after I had my salt. This stuff saves I am not kidding!!! Ran into Cynthia and Heather at mile 5 and 6 and continued on my path. I didn’t think a podium finish was in sight for me so I just tried to focus on my run, my stride, and my pace. Under 2:00 half marathon was my goal and to beat my previous half marathon time. Slowly I would realize that I would not see many girls in my age group along the run so I thought maybe I can pull this off. That drove the dedication in me to keep up the pace. Heather would bike along side me to say hi and cheer me on (the online stats was not working) so she couldn’t track very well. One gentleman came up to me at mile 12 to say that I had a great pace and he had been sticking by me for about 9 miles. You are welcome, sir. I was able to pull off a great run, minus some GI and back issues and finish in 5:47. Def not my best but hey I’ll take the faster swim and run! Oh and the 5th place age group finish. That was by far the highlight of this race for me. 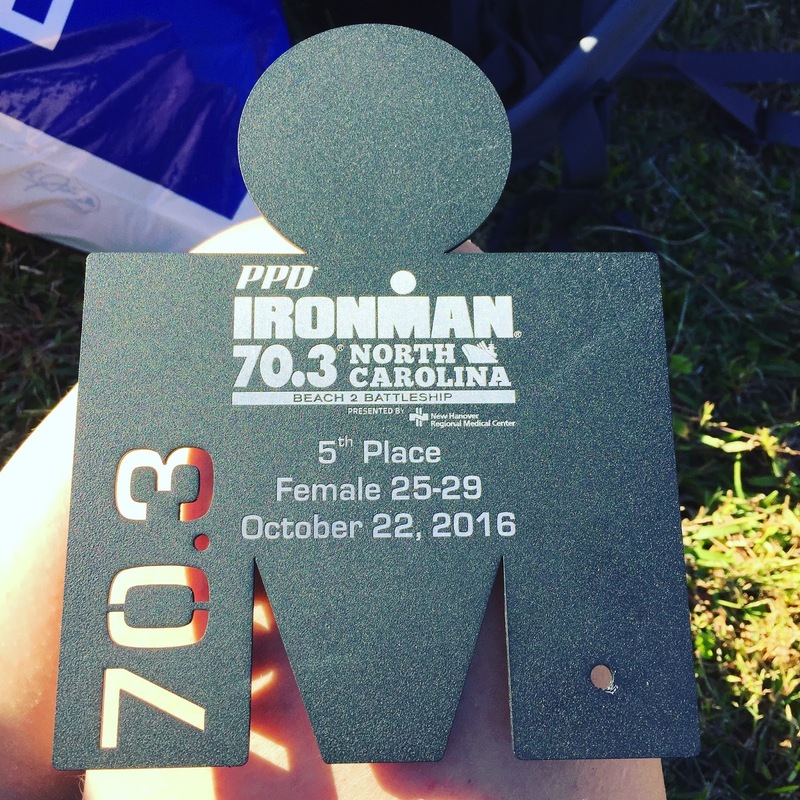 I have never placed before at an Ironman race and it was my goal for the past few years. Well, I did it and I could not be more proud. 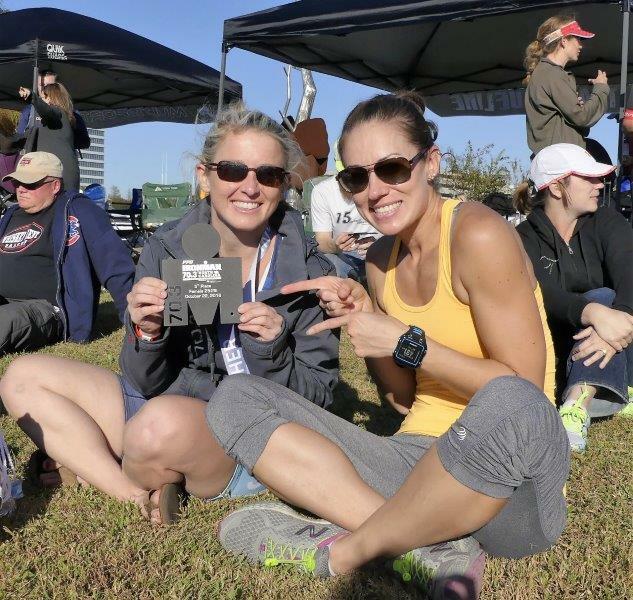 Sadly there was only one spot for 70.3 Worlds and I did not get it, but I got my plaque, heather was there to watch me get it and I was a very happy lady. 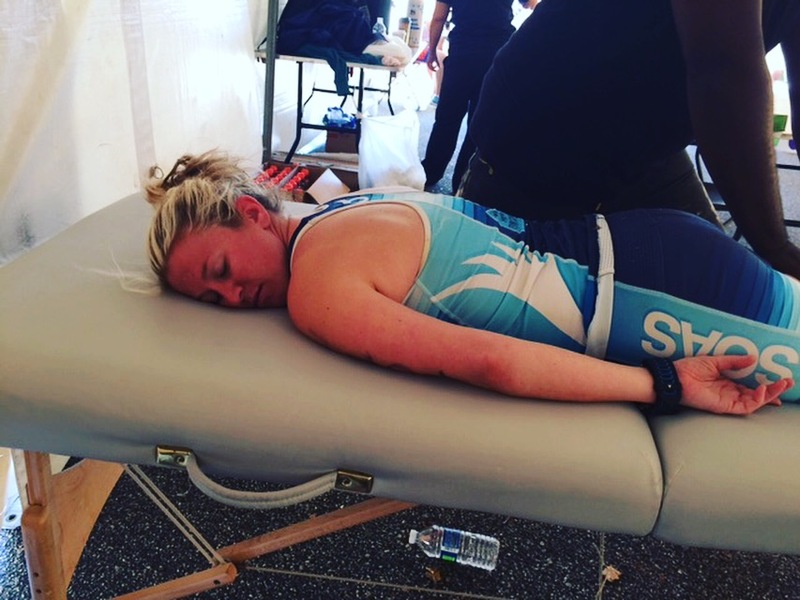 After the race, my body hurt more than it ever has at this distance, so I headed off to the massage tent to get stretched out, massaged and yeah I was donezo. I retrieved my bags which FYI, not very organized. My mom walked in to help me find my morning clothes bag because it was not with my stuff. After the awards ceremony, I went to get my bike and head back to the hotel. I highly recommend getting a second night stay if you are out of town. It was nice not to have to get back into the car and drive for 6 hours. The after race food wasn’t very good, cold pizza, chips and oranges. So I ate at the hotel. There were Beachbody protein shakes so that was different. Overall, I would like to try this race again, hopefully, the conditions are better and the bike course is nicer. But maybe not next year. I was, however, very happy with my result.